"Farmer's Market" Too is just like moving from booth to booth at a Farmer's Market.....you thought you only needed peppers, lettuce and garlic but when you see all the others you know you have to have them too!! These background papers are the same.....there many papers in the FQB kit....but when you see these ones....resistance is futile! These digital background papers are NOT included in the FQB "Farmer's Market" Collection, so please don't miss out! 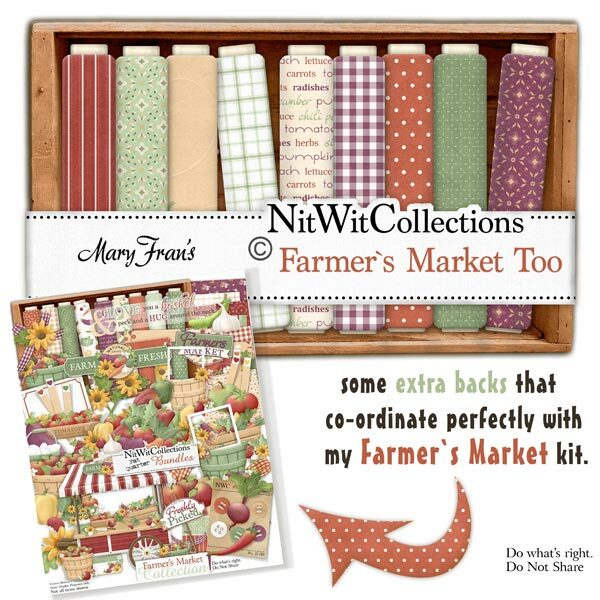 15 digital background papers that coordinate and colour match my "Farmer's Market" Collection.